New Homes from the $200’s in Troy, Illinois. 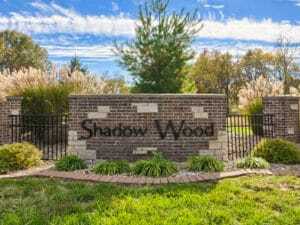 If you’re looking for a new home in the Troy, IL area, you must visit Shadow Wood! Shadow Wood opened in the summer of 2012, offering a wonderful selection of homesites to build your new home in Troy! New phase coming soon. Some of the best lots still to come! Conveniently located on the East side of Troy, adjacent to Triad High School, this community has a lot to offer. Private, wooded homesites with a wandering creek and lots of mature trees and green space provide the perfect setting for your new home. Quick and easy access to St. Louis or Scott Air Force Base for the commuter and all the conveniences a family needs are just a short drive away. Home prices start in the upper $200’s. Choose one of our family-friendly plans or bring your own. Come and take a look for yourself. We think you will like what you see. Shadow Wood is located in the city of Troy in Madison County, Illinois. Troy’s population was 9,888 at the 2010 census. Shadow Wood community is located in the Triad School District. The Triad District was formed by consolidation in 1954. The District consists of the communities of Troy, St. Jacob, and Marine, which are all located in Madison County. The District has a total of 121.5 square miles. There are 3,778 students attending school in the Triad District from grades pre-kindergarten through grade 12 (1,768 elementary students, 856 middle school students, and 1,154 high school students.) There are two elementary schools in Troy (Henning and Silver Creek); one elementary school in St. Jacob; one elementary school in Marine, along with a district middle school housing grades 6-8 and a district high school. DIRECTIONS: From Interstate 55/70: Take exit 17, Go East on State Route 40 to Bauer Road, just East of Triad High School, Turn right (South) on Bauer Road to Shadow Wood entrance on your right.